Meet Aaron Emerson | Gambling Recovery Can Start Here. Sharing Hope, Awareness, and Support. Yes, we all may have relapsed before, but Aaron is very adamant in sharing what he learns if and when we all at times have a slip. The most important fact is, Aaron is Honest, Real, and Transparent about the ups and downs of maintaining recovery. So, that is what is my point is with this post and having Aaron share some of his story with all of us today, courtesy of his latest newsletter … “Hope From Dope” is a newsletter written by Aaron Emerson, a recovering addict, and alcoholic. It contains his writings from his Hope From Dope blog, updates on his recovery and more. Treatment Works; My Story ~ By Aaron Emerson. Yes, seven times I have checked myself into rehab. Many of those times I did it to simply get my family off my back and a couple more times because I was homeless and didn’t have anywhere else to go. But this last time, well, I entered rehab totally broken, ashamed, hopeless and humiliated. At the same time, though, I was finally ready to do everything they asked me to do and willing to give recovery a try again. It was a rehab in Memphis, Michigan called Sacred Heart. Based on the 12 Steps, Cognitive Behavior Therapy, and family support, it is a treatment center that mainly serves low-income individuals from Michigan. It is a terrific place that employs therapists and workers who are recovering addicts themselves. And, well, it saved my life. The day I checked myself into Sacred Heart, I had two warrants out for my arrest for stealing a credit card. I was a broken person, my relationships were all shattered and nobody trusted me. 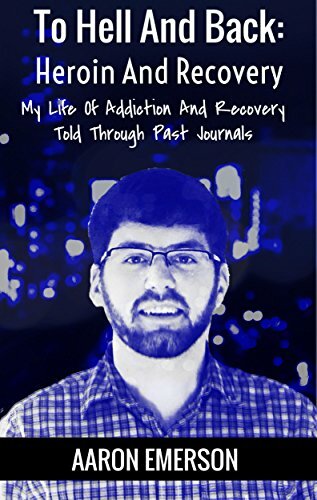 Years prior, I had been living a life of recovery after several years of heroin addiction and it was the happiest I’d ever been. However, after I let up on how many meetings I went to and distancing myself from my recovery program, I drank some beers at a wedding, triggering a downward spiral of a couple more years of on and off drinking and drug use. So, walking into Sacred Heart on December 8, I was humiliated that after building a life of recovery, I was now back in active addiction, facing some criminal charges. I had shared my story at area high schools and been featured in news stories about recovery. But here I was, strung out and hopeless once again. About the only thing I had going for me that day was that for the last week, I hadn’t used drugs or drank. After the cops were called on me for acting violently after a night of drinking, an Ingham County Sheriff’s Sergeant helped convince me to check into treatment and get my life together for my daughter. I actually listened to him. The way he treated me like someone who needed help and not as a crazy criminal really gave me hope. I was used to cops doing everything they could to stick me with charges and lock me away, so when an officer who was high up on the chain in law enforcement showed me compassion and seemed to really care about me and my daughter, it triggered me to try to get sober and go back to rehab. And since that night when Sgt. Harrison helped me instead of locking me up, I haven’t used drugs. Rehab went very well and Sacred Heart helped me get some stability in my life. When I left a few weeks later, I was sober and motivated to get to a meeting as soon as I got out. I did and two days later I turned myself in to handle the warrants. I got a personal bond and a month later was sentenced to Drug Court in East Lansing, which provides treatment and therapy instead of jail or prison. Drug Court has introduced me to a very good support system and given me a strict, balanced life to build around. I now have a job working 30 hours a week, go to meetings and therapy each day and am trying to be the best father I can be to my seven-year-old daughter. My life is extremely busy with work and all the meetings and therapy, but it is helping me. I feel like I have a very sustainable foundation in my recovery. I have a sponsor and a recovery coach that I call every day and another recovery coach that helps me and my family piece back together our relationships. Out of all the sponsors, recovery coaches, therapists and probation officers I have in my life, I genuinely feel like each one of them cares deeply for me and plays very important but different pieces of the puzzle. All of this wouldn’t have been possible if it wasn’t for Sgt. Harrison motivating me to go to Sacred Heart. Sacred Heart truly helped me develop a foundation to get my life back together and I will forever be grateful for that. It doesn’t matter how many times you have fallen, it is never impossible to stand back up and fight! It doesn’t matter if you have never been to rehab or if you’ve been to treatment ten times, never give up! While in active addiction, it seems impossible to ever get sober and be happy without drugs and alcohol. That is a lie the disease of addiction tells you. The memories and hope I am experiencing today is something to cherish. Never give up. Don’t ever be ashamed or embarrassed to admit you have a problem and need help. It takes a lot of strength and courage to check yourself into treatment or ask for help, but it is the first step to building a happy life of sobriety. THANK YOU, Aaron, for being my Guest Today! You can follow Aaron’s journey and share your support by visiting his website “Hope From DOPE” and by connecting with him here on Facebook too!